Receive the right diagnosis for your shortness of breath with our respiratory services. If you have questions about your respiratory health, find a respiratory therapist near you today. You can trust us to diagnose your condition and get your breathing back on track. Pulmonary function testing is completely painless and helps physicians diagnose and treat shortness of breath, asthma, chronic obstructive pulmonary disease and work-related disorders. PFT is also used for presurgical screenings, as well as post-drug, radiology and chemotherapy evaluation. 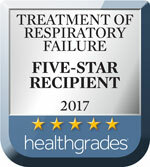 We also offer arterial blood gases (ABG), co-oximetry, body box testing, methacholine challenge testing and simple pulmonary function stress testing. 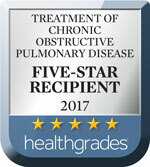 Southcoast Health provides respiratory services in Fall River, Fairhaven, New Bedford and Wareham, MA at Charlton Memorial Hospital, St. Luke’s Hospital, Tobey Hospital, Southcoast Center for Primary & Specialty Care and Southcoast Health at Rosebrook.